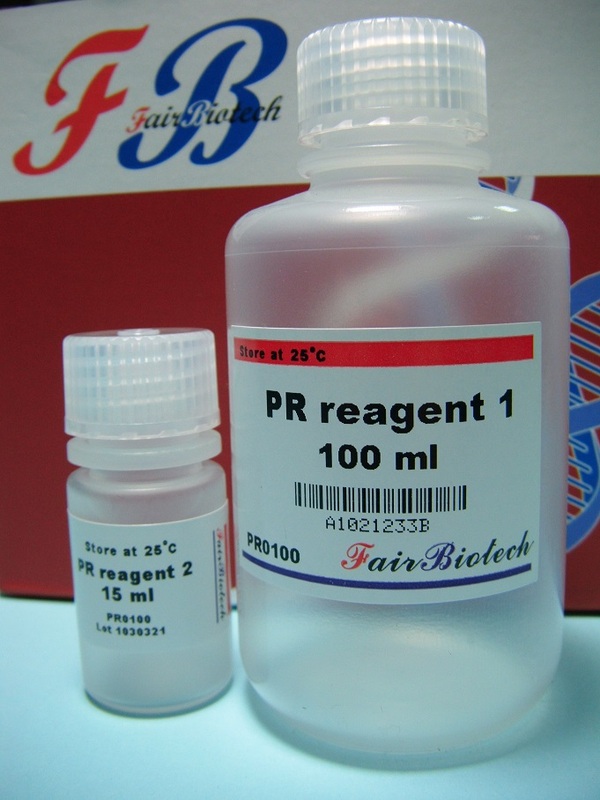 The PR reagent provides an easy 3 step method to isolate total RNA from plant samples. 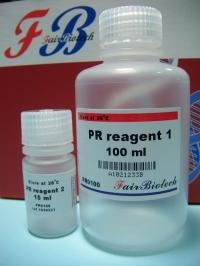 This unique reagent system ensures total RNA with high yield and good quality from most common plant samples and also samples high in polysaccharides. If a larger sample is required, the reagent volume can be scaled proportionately, making this reagent not only very user friendly but also highly versatile. RNA phenol extraction is not required and the entire procedure can be completed in 2 hours. The purified total RNA is ready for use in RT-PCR, Northern Blotting, cDNA Synthesis and Mapping.